The total number of passengers at European airports reached 2.34 billion according to the group, which represents more than 500 airports in 45 countries. The number of passengers grew by 6.1 percent, down from an 8.5-percent rise in 2017, a statement said. Europe's five biggest airports added 16.5 million passengers, but faced "capacity limitations, intensifying hub competition and hub by-pass developments as well as airline strikes," the ACI said. "Managing such growth has been quite a challenge and the strain on airport facilities and staff is real. Capacity and quality are now major issues for an increasing number of airports," ACI director general Olivier Jankovec said. 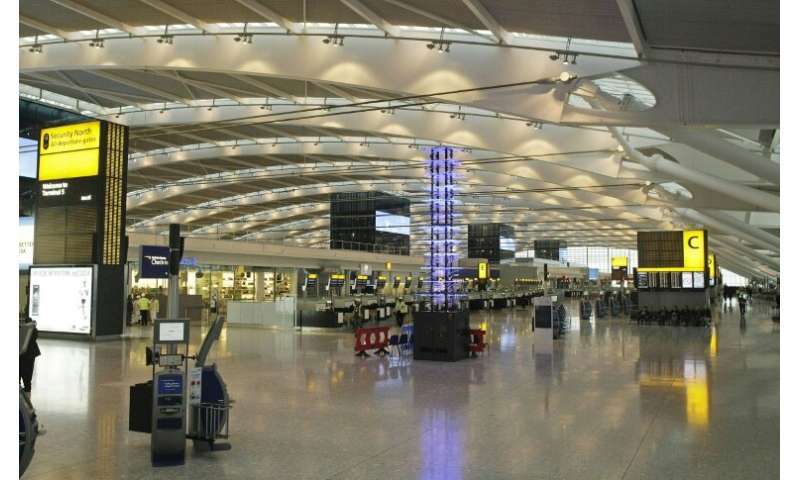 London Heathrow was again the top airport in Europe with 80.12 million passengers, followed by Paris-Charles de Gaulle with 72.22 million and Amsterdam-Schiphol with 71.05 million. Frankfurt, which was number four with 69.51 million passengers, posted the highest growth among the so-called "majors" with a rise of 7.8 percent. Growth in freight traffic stumbled meanwhile, as it saw a gain of just 1.8 percent following a jump of 8.4 percent in 2017, the data showed. Looking ahead, Jankovec identified Britain's planned withdrawal from the European Union on March 29 as "the top immediate risk," but said measures announced by the European Commission should "help mitigate the impact."